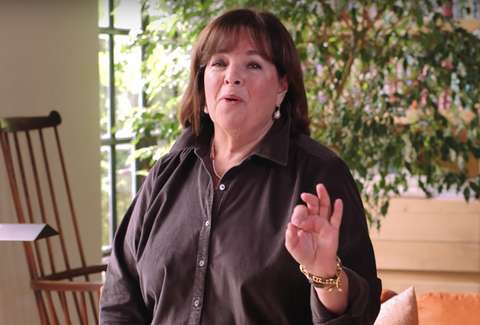 When you think of the Barefoot Contessa, you're probably not thinking about Big Macs and Whoppers. There's little about her shows and ubiquitous talk show appearances that indicates she'd be a fast food junkie. And she's not. However, she does have a soft spot for one chain. Speaking with Today.com, Ina Garten let the cat out of the bag. "I have to say, I don't eat fast food at all, with one exception," she said. "When we're in California doing book tours, we always have to go to In-N-Out Burger. It's so good, and I know it was Julia Child's favorite too, so it's okay." Best lunch ever @frenchietogo !! Thank you @gregorymarchand for making your own hot dogs! It seems many chefs have their fast food weakness. Anthony Bourdain recently admitted he is helpless against the allure of Popeye's mac-n-cheese. He spoke highly of KFC's mac in 2015, as well. It's not just mac, though. Bourdain has said In-N-Out is one of his favorite places in Los Angeles and said it's "the only fast food chain" he likes. Gordon Ramsay has expressed love for In-N-Out, too.